Last year my title for the film review of Battle: LA stated that you may need a video game controller in order to watch it. 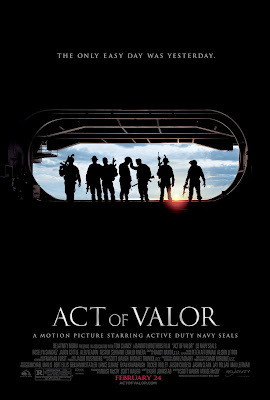 With Act of Valor, it seems more like a supplement to playing a video game. If you were to become tired of playing Modern Warfare or Battlefield, then Act of Valor is easily a way of keeping that emotional state alive. For a film that is based around authenticity of the actions taken by the actual active duty U.S. Navy SEALs, it is certainly just as concerned as looking like a slick video game come to life. The big difference is that this film is clearly working on a lower budget and lacks some of the visual panache that is more easily achieved by experienced action directors. Still, Act of Valor does contain a lot of harrowing action sequences, glued together by a plot that is a straight procedural and entirely inconsequential. Regardless of the intentions of this film (which started out as a recruitment film in early stages), if one desires a flurry of explosive action that is slightly more realistic than average, this is that film. I have already stated that the plot is pretty inconsequential, but I can give it a whirl. What sets things in motion is a pretty hostile terrorist act against a U.S. target that results in his death, as well as the lives of many civilians. This is the work of a terrorist with an evil plot in mind, which involves smuggling a new type of deadly weapon into U.S. territory through drug cartel tunnels. At the same time, a CIA operative has been kidnapped, which leads a team of Navy SEALs to discovering more and more of the evil plots afoot. What follows is a race against time, as the SEALs deal with rescue missions and extractions, along with a worldwide manhunt to stop a terrorist from succeeding. The most interesting aspect about this film is what went into its making. 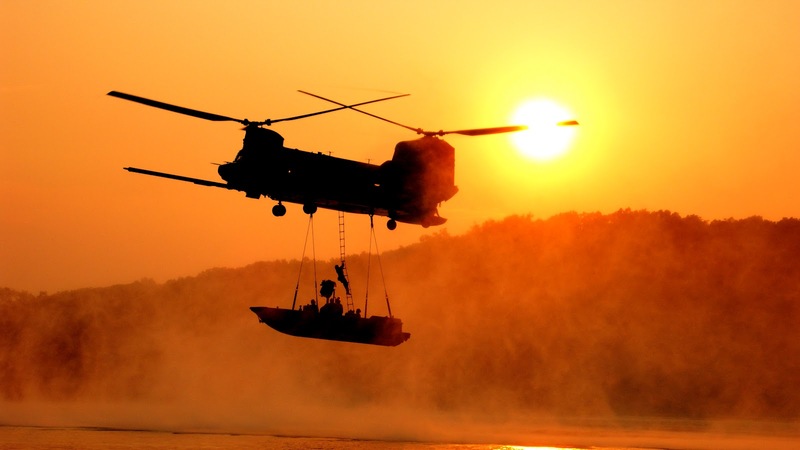 Act of Valor started out as a much smaller scaled project, only to develop into a full-scale action film. And the kicker was putting in actual active duty Navy SEALs into all of the lead roles. So aside from a few actors placed in supporting and villain roles, the guys on screen performing various “acts of valor” are in fact the real deal. It is because of this that the film’s credits do not list the full names of anyone involved in these roles, for the sake of keeping them anonymous. Now obviously there are certain limitations to making a big action film centered on guys who may have the right stuff when it comes to doing various scenes involving action and special tactics, but have no experience as actors. It is because of this that there is very little going on in terms of story and especially character. The few necessary speaking roles in this film are providing only enough in their lines of dialogue to move these characters forward to the next plot point or action sequence. The nature of the story is very unobtrusive. We see a mission, see these guys set up a plan, and watch them follow through with it. There is some talk about family and coming home, but not a lot. The film is very much a straight-forward procedural, with very little fat on it. The story and character aspect is what comes down to ultimately keeping the film from rising to greater heights. It should be no surprise that selling these performances does not feel very natural. One character in particular felt incredibly awkward to watch when delivering exposition, which made it all the more interesting when he came alive during a scene that put to use his actual interrogation skills (a scene that was improvised). Similarly, the story is so lacking of real substance, beyond pointing out the good and bad of it all quite clearly, that there is not much to rely on when it comes to true investment. What saves this aspect for me was the fact that I did not really expect or want story and characters for this particular film. Going into a movie that I knew involved real Navy SEALs performing tactics that reflected an authentic approach to the action meant that all I really needed to be impressed by were its technical aspects. It may be a thin argument to say that it should not matter that there is no real story to care about it, but really, that is how I approached it. So, speaking in terms of what I got when it came to the action, the film does a lot of this stuff quite well. It is certainly a product of this current generation, meaning that the camera is very close to the SEALs a lot of the time, which includes opting for many first-person views, as well as engaging the “shaky-cam” quite frequently. There are also a lot of uses of slo-mo and emphasis on low and dark angles, not to mention the perspectives from UAVs and sniper scopes. The directing team behind this film, Mike McCoy and Scott Waugh (former stuntmen), have a certain eye for what they wanted to have captured and cinematographer Shane Hurlbut managed to do a pretty good job with a low budget (this film was shot in its entirety with a Canon EOS 5D camera, which is pretty impressive). Things blow up and get shot up real good throughout (with the use of live ammunition in some cases) and the audio quality certainly adds to the slickness of some of the action. The only real gripe here can also be related back to the lack of character development, given that some action sequences became exhausting when it involved me trying to piece together who was who. There were two important moments that succeeded at being exciting, but not being quite sure which character was which also made it distracting. A final thought, given that this film feels pretty polished, given its low budget, that aspect also rubs off on the way everyone is portrayed in this film. While Act of Valor may have its roots in being a recruitment video, this final product does not quite shout, “Join the armed forces!” at the viewer, but at the same time, there is certainly a very positive and patriotic message associated with it. All of the SEALs are shown as great guys with families and certainly no flawed behavior. Again, none of this really bugged me, but it is also easy to see how one could associate propaganda with what is going on here. When you have the full cooperation of the U.S. Armed Forces helping to get your movie made, it is hard not to expect this. It may not be the defining action film of the year, but Act of Valor is a pretty slick military-based action film to arrive during the winter. Taking away concerns about the story and characters, what you have left is a film that wants to show off the talents of actual men performing their duties in an authentic fashion. Regardless of how authentic these action scenes are (because who really knows), what matters is the entertainment value for a film like this, and there was some to be had. For me, if there was a little less video gameness to the filmmaking approach, I may have appreciated it more, but when I get a Modern Warfare déjà vu-vibe coming out of emotionally important scenes in a film that are supposed to be poignant, something’s not working as effectively as it should. You're a moron, this movie was great ! Hey, I'd rather someone have a good time at the movies then a bad one, happy you liked it; no need for name calling.